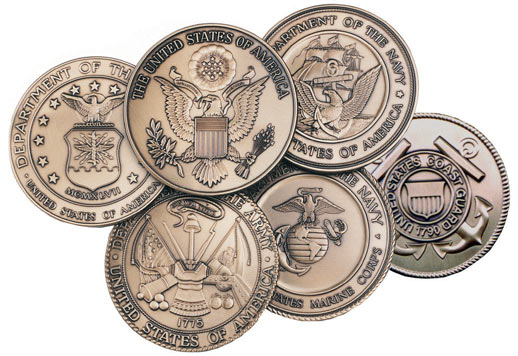 Orders for the Military shadow box are usually shipped out within one business day to places within the USA and Canada. I have various mementos as an athlete from high school. Even though I do not play sports anymore, I find a sense of gratification when I look at how I excelled in that field. I recently bought this case, to place in my home office. I now display all the medals I received and it gives me a sense that I can do anything I put my mind to. My husband bought this for me in light of my graduation from the Police Academy. 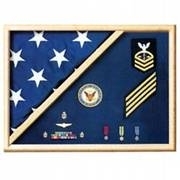 I proudly display my certificate of completion in the living room and am inspired every day. It was a long, tough journey, but I am proud that I accomplished what I had set out to do, which is making America a safer place. What a wonderful keepsake item! 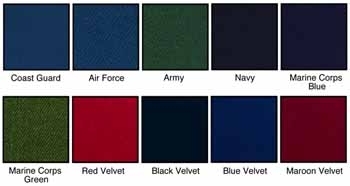 I love the genuine material of the U.S. Navy uniform. As a newly graduated marine, I proudly exhibit my certificate in this display. My mom got it for me. I love it.